There is no debate in saying that Artificial Intelligence has come a long way and has a profound impact on our lives in more subtle ways. From weather forecasts to Google’s search predictions to voice recognition, such Apple’s Siri; the positive effects of AI on our society in terms of efficiency is immeasurable. Which is why, business owners and entrepreneurs are taking up artificial intelligence initiatives as a priority to help reduce the operational costs, increasing efficiency, growing revenue and improving customer experience. Ecommerce and online retailing industry has a long-enjoyed reputation for being the first ones to capitalize on new technologies and bringing innovation. 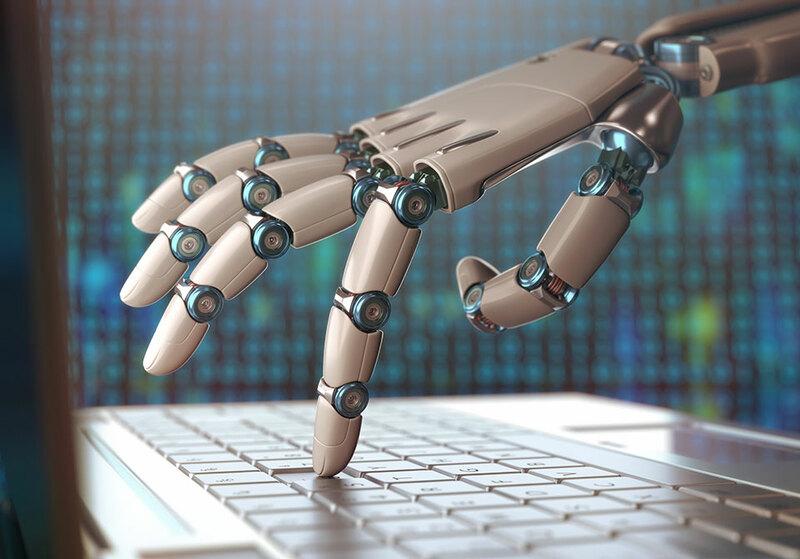 Ecommerce business owners and marketers understand the importance of automation and with AI and ML finally stepping out of infancy; online retailers are ready to take modern technologies to their advantage to provide their customers with an integrated user experience. Why Ecommerce Brands Need to Use AI Right now? The prevailing concept behind why ecommerce brands need to use Artificial Intelligence as the first thing lies in the ideology of ecommerce itself, i.e. providing convenience. The premier reason why people prefer online stores over brick and mortar store is because of the convenience it provides to shop anything from anywhere. Artificial Intelligence and Machine learning technologies further enhance this convenience by providing a more personalized and localized shopping experience to customers. AI-powered webs have the ability to drive data regarding customer behaviors, interests and preferences through algorithms and also help marketers to create a personalized shopping experience. AI analysis of customers gives retailers the opportunity to craft a unique pattern for each customer based on their past preferences and behavior on the site. That is why AI-powered personalized ecommerce webs have experienced 6-10 percent, almost two to three times’ faster growth than others who don’t, according to Boston Consulting Group study. There is a reason why WordPress is called as the king of all content management systems around and is by far the most popular ecommerce web development platform as well. The reasons to love WordPress are many. The best thing about WordPress is that it is flexible and more open to change. You can literally mold your website the way you want and introduce new and innovative features without overhauling the whole structure. Thanks to its open source nature there are hundreds if not thousands AI and ML plugins created by third parties that you can install to add a good amount to juice to your website. In this article, we are listing down 5 top of the line AI and ML plugins that are widely popular and considered to be the first choice of entrepreneurs in the industry. Spamming is the unfortunate reality of the digital world and the fact is that websites are prone to spamming attacks all the time. The reason why I started with Akismet is because of the safety-first approach. Security is the most concerning factor when it comes to online shopping. People want their credentials to be safe and secure. Akismet is an effective plugin in this regard that uses artificial intelligence and machine learning to detect and counter spam. The best thing about it is that it works with Contact Form but also works well with blog comments. Moreover, you don’t need to download it as it is one of the only two plugins that come pre-installed on every WordPress website. Modern day marketing is all about the content, its quality and the impact it creates on your target audience. Wordlift is a powerful AI semantic plugin that uses natural language processing and linked data publishing to help digital marketers make website content more effective, useful and personalized. WordLift is an interactive AI extension that analyzes and interprets the content and transforms text into machine-friendly content to help you improve content for user engagement as well as search engines. WordLift currently supports 32 languages. It is one of the best plugin that not only improves indexability but also delivers content recommendations to readers that make them stay longer on the website. Kindred Post is another content marketing extension that helps you attract more users on your site by allowing you place a widget on your sidebar. Kindred Posts makes use of Artificial Intelligence to analyze the behavior of users on the website and suggests content based on visitor’s interests. Humans are emotional beings, and emotions play a significant role in our buying decisions. Watson finds is an innovative extension that analyzes your content and provides you with detailed insights about the emotional affect your content will create on customers like joy, anger, sadness, nostalgia, disgust or fear when they read it. The extension is pretty simple and easy to use. Soon as you add Wastonfinds to your website, you will see a button on your WordPress post editor clicking on which will show you the content’s emotional score. It evaluates content based on the words you choose and give you a better understanding how your audience will perceive the content. The importance of live chat facility for user engagement cannot be certainly overlooked. The study by Zendesk, reveals that 92% customers feel satisfied when they use the live chat feature, compared to other communication options like voice (88%), email (85%), web form (85%), and social media (Facebook 84%, Twitter 77%). To the surprise, a large number of websites still do not have this feature available. Live Chat 24-7 is virtual chat agent for your WordPress website. If it’s not possible for you to hire a 24/7 customer rep agent, you improvise, adapt and overcome by using this extension. It deploys a bot that points your users in the right direction and most importantly keeps them engaged so that they don’t feel frustrated. AI and ML technologies are changing the game and will soon dominate the mainstream. These modern technologies are helping online retailers and e-commerce marketers by evolving the process intelligently so that customers are no longer offered with solutions that are neither tailored nor appropriate. With a promising future over the horizon, it’s time for you to add IA and ML plugins to your WordPress website as there is no other option than to keep up with the latest trends and technologies. Asad Ali is a professional digital marketing strategist having more than 8 years of experience in eCommerce industry. He is currently working at GO-Gulf – a Dubai web design company. His expertise includes eCommerce SEO, UX, design & conversion optimization. You can reach him on LinkedIn.